Devotion to Mary, the mother of God, is nourished by nothing so much as by knowledge of Holy Scripture. 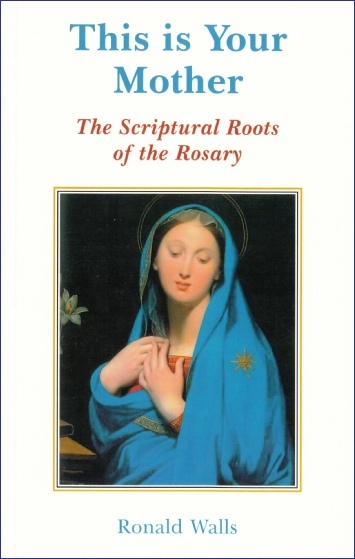 Fruitful meditation upon the Mysteries of the Rosary relies upon the knowledge of the Bible; and because this is so, the prayer of the Rosary is in tune with the Church’s belief that the Bible is our great source-book of theology and of devotion. This is Your Mother does not simply give references to biblical passages that help us appreciate the Rosary but prints them in full, so that the reader has everything in one volume for ease of use. For each Mystery a full selection of Old Testament texts prepares the way for a meditation followed by the relevant reading from the New Testament.